Done-Right Construction Blog & News. As you set out to purchase cabinetry for your bathroom you likely have a budget in mind, but there are a few other things you need to keep at the forefront while shopping for a vanity or cabinetry for your bathroom. 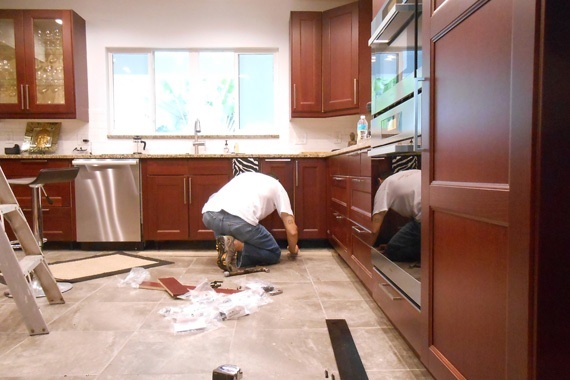 To help you craft a successful plan, we have come up with a helpful guide of the types of cabinets and vanities available. In addition to these grades, bath vanities can also be purchased in freestanding units. Depending upon your needs, bathrooms in Ottawa generally include cabinetry sold through network of retailers with plenty of options to choose from including the above listed cabinetry grades. Tip 2. RTA is the most affordable bathroom cabinetry. If you are looking for the most affordable bathroom cabinetry on the market, then RTA is your best option. RTA stands for ready to assemble, and if you choose this option be prepared to sacrifice quality. Bathrooms in Ottawa that contain RTA cabinetry may not look any cheaper to the naked eye but they provide relief to your wallet if you are renovating your bathroom. To improve the look and feel of affordable bathroom cabinetry, retailers are now offering a plethora of cabinet door options and accessories. Some of this hardware provides a decorative finish. There are round doors, square doors, modern door styles, assortment of wainscoting and many other customized accessories available. Many bathrooms in Ottawa also include different knobs, hinges, and pulls for style and decoration. It is also important to consider additional high-end cabinetry options with advanced features when you are looking for cabinetry for your bathroom. How much does Home Improvements Add Value in Ottawa? Done-Right Construction and Renovations Inc.
All content rights are reserved for Done-Right Construction Inc.